HELLO from Great Marton on Lancashire's beautiful Fylde coast. Our tennis season is well under way and I'm having an informal book signing where we play at Lytham Cricket & Sports Club. It's for an hour or so on June 11 from around 7.30pm, following the usual Tuesday social tennis session. I shall be manning a table display either on the club terrace or in its bar, depending on the weather. 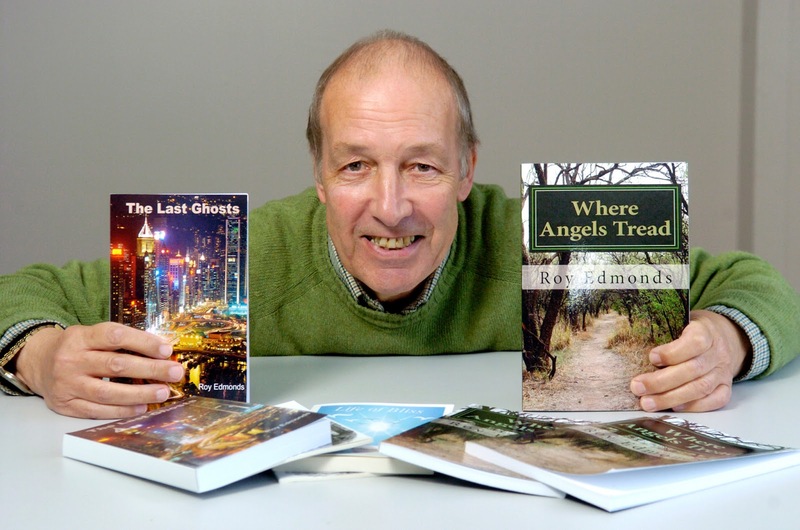 On offer are a limited number of first editions of my first novel, Where Angels Tread, published on Amazon last year. It is a light thriller/romance with a twist of humour and haunting end. Copies usually sell at r.r.p. £6.95 but will be available to members and visitors at a one-off special price on the evening of £3.95. 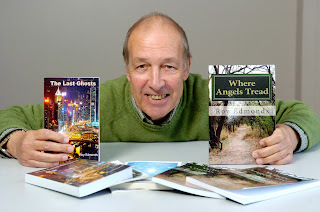 There will also be a display of my other books, mostly novels, which are available from this website on Kindle or in paperback (see our Books page). There are no speeches or readings but I shall be happy to chat and answer any questions, as well as signing and dedicating books as people wish. This informal approach follows some unexpected pitfalls at previous readings/signings on the coast, where my appearances have been as ill-fated as my brief sailing flirtation (warning off coastguard, run aground and, finally, sunk). My last reading in Lytham, at Plackitt & Booth bookstore (where signed copies of a few books are still on sale) started ominously. It clashed with Blackpool Football Club's last televised play-off for the Premiership. Also, that evening it bucketed down with rain. The reasonable turnout included a notorious Fylde tramp, or as I'd prefer to say 'free spirit', who can boast many ASBOs for troublesome behaviour. He is also, I suspect, well-read - coming by all accounts from a good family. In Lytham even the tramps have a pedigree. "Who is this bloke Edmonds and is he any good?" He asked the bemused shop owner Patrick Booth. I obviously wasn't as the infamous visitor left soon after arriving. Then a shelf display fell on the head of a lady in the front row, drawing blood but happily not causing lasting injury. At the other end of the coast, I arrived for an arranged afternoon reading at Knott End Library to find it closed. The librarian had gone on holiday and his assistant, probably excited at the prospect of my book signing, had crashed and written off her car on the way to work. She was still in hospital but, we later learned, not hurt. A couple of replacement librarians were dispatched from Fleetwood on the Knott End Ferry. My only problem then was competing with a Scottish terrier outside the entrance, barking for his owner. She Who Knows calmed him down. To relieve everyone of further stress, I shall not be holding forth on this coming evening. However be warned, I could be in shorts! Blackpool Cricket Club, which I attend Saturday afternoons, is to display copies of 'Where Angels Tread' behind the bar. Meanwhile, the popular 'local' history 'Saddle Up!' is on sale at the resort's oldest inn The Saddle, here in Great Marton.